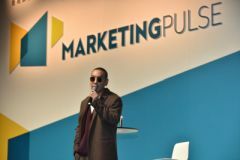 HONG KONG, Mar, 25 2019 - (ACN Newswire) - The second edition of MarketingPulse, Asia's premier conference for marketers and brands, ran successfully at the Hong Kong Convention and Exhibition Centre on 20 March. Organised by the Hong Kong Trade Development Council (HKTDC), the key morning session at the event, "Dear Brands, Let's Sail to the Future! ", featured a heavyweight line-up of industry experts who shared their tricks and tips on how to keep ahead of marketing trends to develop successful brand stories. Endeavor is a brand focusing on entertainment, sports and marketing services. Bozoma Saint John, the company's Chief Marketing Officer, shared her success stories at Endeavor and in previous high-profile marketing roles at Uber and Apple Music. 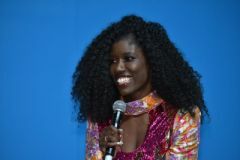 Ms St John recounted some of the marketing stunts that helped to push her brands, from inviting Beyonce to perform at the Super Bowl and promoting Apple Music's breakup song services through private chat messages between three famous black actresses, to featuring two superstar athletes sharing their thoughts on cultural differences during an Uber ride. These stunts were not only successful in capturing the attention of consumers, but also raised discussions on cultural issues relevant to society as a whole. "I am addicted to popular culture!" she declared. "I am always fascinated by the latest and most trendy things and would like to know how they come to be and how they connect with history. People working in the marketing sector represent various cultural differences between different places. We have to know its meaning, why it comes to be, and how cultures interact in order to use popular culture as a marketing tool." Ms Saint John pointed out that there are currently tensions in society which make it important for marketers to understand different communities well and build connections through various emotions in order to avoid controversies such as cultural appropriation. 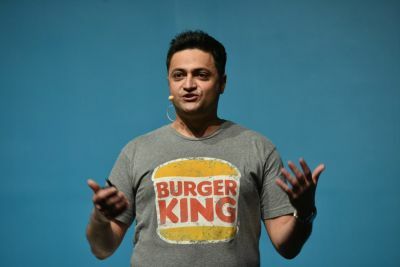 "Great ideas should be scary," claimed Marcelo Pascoa, Head of Global Brand Marketing at Burger King, when he stepped up to the MarketingPulse stage. "When new things come to be, it is often associated with fear. So, my advice to marketers is: be very afraid! If you sleep well the night before your project launches, then the promotion wouldn't be too spectacular." Mr Pascoa's projects are known to be bold and daring, even making fun of competitors in the market. One example was a marketing stunt in which people were asked to open the Burger King app at a McDonald's to win a free burger. As a result, there was a huge leap in interest in the Burger King app and it became the most downloaded app on the store. He said that knowing your work aligns with the brand value is key when facing challenges and criticism. "My biggest fear is being irrelevant. Marketers live in fantasies where they control everything, but social media has proved that we cannot control everything." One of Hong Kong's best-known creative talents, Juno Mak, Creator, Kudos Films Ltd, began by sharing his experience in the entertainment industry and explaining how marketing became part of his everyday life. "We do not need to be a businessman to do marketing, as we are already marketing ourselves in our daily lives - our sitting posture, our favourite colours, and our watches, these are all making a promotion out of a life. When you know yourself better, you will know how to do marketing," he said. Mr Mak also made the bold suggestion that we should abandon two things: our resumes, and thoughts that come from the mouth, not the head. "Things you write in your resume are tasks completed in the past. But we have to think: what's next? We should also give up on thoughts that come from our mouths, as they might be copies of other people's ideas. Thoughts should come from your head - a creation that you agree with." Jonathan Mildenhall, co-founder and CEO of TwentyFirstCenturyBrand and former Chief Marketing Officer of Airbnb, offered the audience a whole new definition of marketing in the 21st century. "Marketers create assets for the company, including its finance, consumers, employees and cultural assets. Marketing with a clear focus creates unparalleled value," he said. Mr Mildenhall emphasised that storytelling techniques are key to any marketing campaign. "I am 100% a supporter of emotional storytelling. If a marketing campaign does not contain a story behind it, it is only market pollution. Stories help us build a signature super-brand that people care about." He shared his experience at Airbnb to illustrate how consumption begins with emotion - for example, bringing the room in a Van Gogh painting to life, or sharing true stories from the community to bring out cultural values. "We rationalise our choice of consumption after we create the emotion," he explained. Keiei Sho, Executive Officer, General Manager of Overseas Business Division at Calbee, Inc, distributed his company's popular grilled corn sticks to conference visitors to demonstrate how market tastes can change. "People used to say that the corn sticks were too hard and that consumers would not like them," he said, before revealing that sales were now in the US$300-400 million region. Mr Sho recounted Calbee's history, explaining that after the Second World War, Japan was left with devastated industries and faced food shortages. Calbee stepped in to manufacture prawn crackers using the flour left behind by the United States Army and shrimps from the Seto Inland Sea, which proved to be a hit. The company continues its creative legacy, recently working with 47 Japanese prefectures to create a successful campaign by developing 47 different flavours of chips. "We collaborated with local governments to learn about local tastes, hoping to know what would resonate with consumers, while showcasing promotions from various prefectural governments on the back of the bag," he explained. Using its advantages in the areas of food safety and convenient packaging, the brand has continued to push the envelope by launching breakfast food items to attract Chinese visitors and promoting Kyoto's breakfast culture using online celebrities. The lingerie brand created by Michelle Cordeiro Grant, founder and CEO of Lively, has embraced the concepts of female empowerment and body acceptance. The company created a new definition of what sexiness means, building a brand that brings community, experience and products together. Advocating "high style and comfort", the brand has been communicating with 100 brand ambassadors right from the start to learn about consumers' needs and elicit useful feedback. Many of Lively's new underwear lines are launched in accordance with customer preferences. Ms Cordeiro Grant said that Lively is an experience-focused brand, with its retail stores devoting only 30% of the space to products while the rest is used for events such as hip-hop experiences and movie nights. "Lively is an organism with a human soul," she said. "Normally, females purchase underwear once or twice a year, while our consumers purchase underwear on average four to five times per year. This shows that they are purchasing not out of their 'needs', but their 'desires'. This is key to how we create our market share."